So much for poker being the game of the Internet dirty-basement kids and the GTO society. 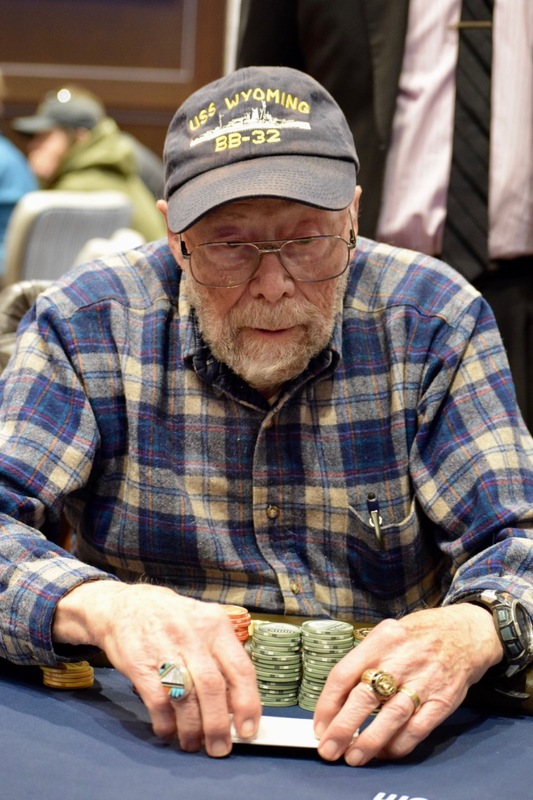 Bearing his USS Wyoming BB-32 hat, Arnold Adicoff is steamrolling through this field late in the OneDay$100k. Adicoff - at 91 years old - just had 900,000 chips colored up by @VegasJDub to help out with the heaps in front of him. Now at 1.4 million, Adicoff is more than a few BB clear of the field with 17 remaining.